Penny stocks have plenty of definitions, risks, profit opportunities. Penny stocks are shares trading at low prices. How low? Well, that depends on who you ask. The official definition, according to the Securities and Exchange Commission (S.E.C. ), is that any shares trading at less than $5 are penny stocks. This differs from the opinions of most regular investors, who typically apply the moniker to shares trading for (as the name implies) pennies. Most professional traders and stock brokers use the S.E.C. definition, which means approximately 18,000 publicly-traded companies are penny stocks, according to data from ​Google Finance. Among these, most are very tiny companies, but the penny stock classification also includes some pretty massive corporations. For example, Ford Motor Company (F) was technically a penny stock, once trading as low as $1.01 per share, on November 20, 2008, despite the company being worth billions. The list of massive, well-known corporations trading for less than $5 per share includes many very large businesses which would not come to mind for most people, when thinking of penny stocks. There are also a few less common classification methods. For example, some investment professionals will define a penny stock as any company with a total value (market capitalization) of less than $50 million. Others consider them to be any shares trading on low quality marketplaces, or over-the-counter, rather than on a regulated stock exchange like the NASDAQ. The problem with classifying by price or market capitalization is that these metrics can change from one minute to the next. A stock could dip in and out of penny stock territory several times in the same day! However, a price cut-off is still the best way to quickly and easily distinguish which investments are penny stocks. You may think that $5 is a bit high for classifying penny stocks - most people do. Well, the S.E.C. has a mandate to attempt to protect investors from volatility and risk, and both of those are generally more prevalent with less expensive shares. The first part of the S.E.C. 's mission statement is, "to protect investors..." and when in doubt, perhaps it's best to be overly cautious. Depending on which broker you use, penny stocks often have stricter rules and regulations attached to them. For example, there may be increased commission rates, or your broker might not allow their clients to purchase penny stocks with borrowed money. Despite these protections, the vast majority of investors in penny stocks lose money. Almost 90% of penny stock investments are not strong companies, or wise investments, according to our own analysis and experience. Often, the shares are trading at much higher prices than they should, their financial position is weak, or their operations are unproven. In fact, many companies trading as penny stocks are brand new businesses, and their product or service has yet to become established. 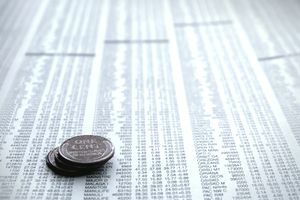 Despite the risks, people are still attracted to penny stocks, due to their big gain potential. According to Google data, searches related to "penny stocks" are one of the most popular financial query topics, beating out terms such as, "stock picks," "stock broker," and "stock quotes." This illustrates that tens of millions of individuals are actively looking into low-priced shares, and are willing to accept the risks for the potential of finding a penny stock which may turn a few dollars into a small fortune. Penny stock prices are driven by speculation and potential, as opposed to more established companies which often trade based on earnings or profit margins. Based on these price drivers, when lower-priced shares move, they can change in value quickly and significantly. Many penny stocks trade only a few hundred shares per day, or sometimes there is no activity at all. The thinly-traded nature of these shares, plus the low price, makes them perfect for scam artists, and dishonest promoters. You have probably seen glossy mail-outs, or pump & dump e-mails, telling you that some company has "found diamonds in their mine," or their technology will "save lives." Investors think they will get rich by investing in the shares, but the story usually ends badly. As the prices increase, the promoter sells their shares for a huge profit, and the stock crashes back down to an appropriate value, wiping out a lot of hopeful investors in the process. Between investor losses, stories of fraud, and thousands of low-quality companies, penny stocks have many negative connotations. The good news is that some of the greatest companies in the world started small, and as they grew they created many millionaires. It is possible to discover these up-and-coming investments, if you have the proper approach and guidance.